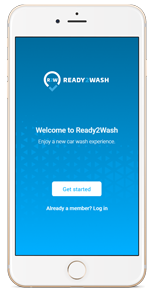 Find out all about car wash locations in Ready2Wash network (available services, working hours and reviews from users). Pay cashless, fast and secure. No more waiting in the queue. Coins and tokens are passe. available services, working hours and reviews of other users. Create better cost strategy. Business users such as companies and organizations can share digital tokens to their employees and review their costs. Join the future and enjoy the new car wash experience.